Admitted to practice law in the State of Michigan and all U.S. District Courts in Michigan. Paul J. Manion is one of the co-founding partners and current president of the Firm. He is an experienced trial attorney specializing in the areas of medical, dental, legal and general liability defense. In addition, Mr. Manion has an active and successful civil litigation practice defending corporations, business owners and individuals in complex litigation, commercial disputes, premises liability, product liability, construction liability and indemnity, trucking and transportation litigation, employment discrimination, and other general civil claims. 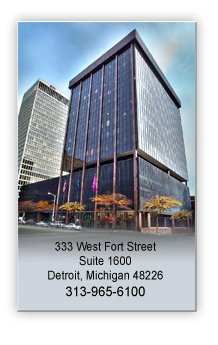 Mr. Manion is a member of the the State Bar of Michigan, Defense Research Institute, the Michigan Defense Trial Counsel and the Association of Defense Trial Counsel. He is also a member of the American Bar Association and its Tort and Insurance Practice Section (TIPS) and Professionals’ Officers’ and Directors’ Liability Committee. He is Peer Review rated AV Preeminent by Martindale Hubbell for the past 25 years. He is also a Fellow of the American College of Trial Lawyers. He is also a Fellow of Litigation Counsel of America, a Member of Diversity Law Institute, the Trial Law Institute, Barrister Order of Centurions and the American Academy of Medical Malpractice Lawyers (AAMML). He is an elected advocate member of the American Board of Trial Advocates (ABOTA) and a Fellow of the State Bar of Michigan and Detroit Metropolitan Bar Foundations. Mr. Manion has served as a member of the representative assembly of the State Bar of Michigan and on a State Bar of Michigan Attorney Discipline Panel. He is a past member of the Michigan State Bar District H Character and Fitness Committee. Mr. Manion is a past Chairperson of the State Bar of Michigan Negligence Section and Officer of the Association of Defense Trial Counsel. He is a member of the United States Supreme Court Historical Society. He also serves as an evaluator for the Wayne County Mediation Tribunal and is past Chairperson of its Defense Selection Committee. He is a founding member of the Incorporated Society of Irish American Lawyers and a member of the Catholic Lawyers Society and the American Constitution Society. He is a senior staff attorney at the Most Holy Trinity Free Legal Aid Clinic. He is a longtime board member of the Trinity Community Services and Education Foundation. The Firm is proud to announce that Mr. Manion was the first recipient of ProNational Insurance Company’s Platinum Award for achieving 30 “no cause” verdicts in professional liability trials. 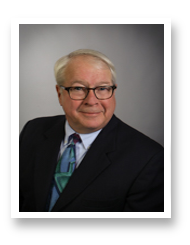 He is recognized as a “TopLawyer” in the fields of Medical Malpractice and Professional Liability Litigation by dbusiness Magazine and is a Michigan “Super Lawyer”. He has also been recognized as a 2010, 2011, 2012, 2013, 2014 and 2015 Michigan Super Lawyer Top 100, as well as 2014 and 2015 Best Lawyers in America. Additionally, he is the 2010 recipient of the Michigan Association for Justice Respected Advocate Award as well as the 2015 Richard B. Baxter Exemplary Advocate Award presented by the American Board of Trial Advocates Michigan Chapter.